oh, those kahles ...: Really J.C. Penney? You, too? Really J.C. Penney? You, too? 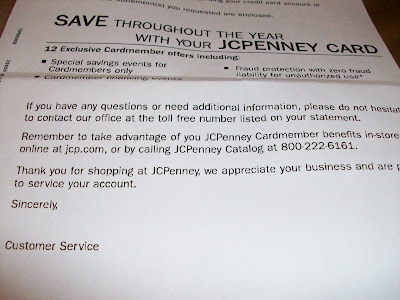 Received my bill from J.C. Penney today. Something jumped right out at me, too. 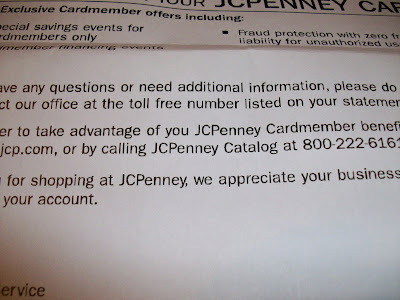 You'd think a company like J.C. Penny could hire a proof reader. Maybe they pay by the letter and they couldn't afford just one more R.